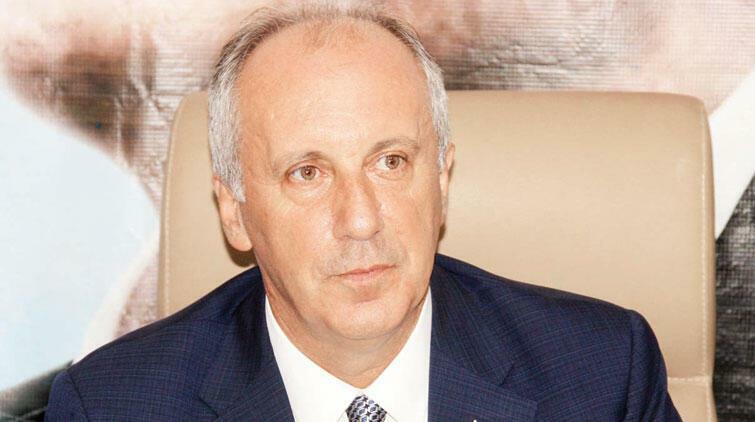 Turkish state broadcaster TRT filed a claim for compensation worth of 100,000 Turkish liras against Turkey's main opposition party's presidential candidate Muharrem Ince, as saying some of his tweets were discrediting the TV channel, pro-government daily Hürriyet reported on Sunday. Muharrem Ince, a former deputy and presidential candidate to the Republican People's Party (CHP), on Nov. 22 said on Twitter that TRT, which did not screen his party's election campaigns, only gives voice to Turkish President Recep Tayyip Erdoğan. "There is no need to discuss that TRT, which did not screen our party's election campaigns in Ankara, Istanbul and Izmir, is the voice of the one-man (rule). Call TRT Istanbul Radio and see it by yourself," Ince said. The complaint suggested Ince aimed to discredit TRT with his tweet. Also, after Ince's invitation to call TRT Istanbul Radio, people jammed the phone lines, TRT stated, a move what it said damaging. TRT had been under harsh criticism both by opposition parties and the dissident during Turkey's referendum in April and presidential elections in June 2018, for ignoring their election campaigns. The broadcaster gave most screening time to the ruling Justice and Development Party's activities, opponents said.